It gives me great joy to announce the United States’ embargo and ban on the importation of Iranian produced rugs and carpets has been lifted. In accordance with the Joint Comprehensive Plan of Action (JCPOA) the International Atomic Energy Agency (IAEA) on 16 January 2016 certified Iran had fulfilled its initial obligations under the JCPOA and thus ‘Implementation Day’ came to pass and with it the end of the embargo. Throughout my lifetime the embargo has been enacted and rescinded on numerous occasions in various efforts to force The Islamic Republic of Iran into compliance with geopolitical ideologies we shall not again discuss; politics, religion, and all that. (These were previously discussed in: ‘Lift Embargo: Iranian Rug Trade to Resume‘) Each attempt has to my understanding seemed only to moderately punish the people of Iran – the very people who make the lovely rugs and carpets so often revered, while fully punishing United States’ consumers (How dare they, the customer is never wrong!) Let us hope this instance may be far more enduring than in the past. As Iranian made rugs and carpets may once again be legally imported into the United States and as Implementation Day fortuitously coincided with DOMOTEX what better way to celebrate such occasion than a summary overview of some of the stunning carpets being made in Iran. ‘Four Seasons’ Gabbeh from the ‘Flora and Fauna’ Collection by Zollanvari. | Image courtesy of Zollanvari. Where else could one possibly start but with none other than venerable Iranian carpet house Zollanvari. As the company that all but introduced quality Gabbeh carpets to the west en masse and had sizeable presence and business importing said carpets into the United States prior to the embargo, it would seem no-one would be more qualified to speak on the subject. ‘The lifting of the embargo is a real relief and I’m very happy that finally once again the people of the United States can enjoy the handicraft of the nomadic tribes of Iran…’ says Reza Zollanvari when asked about the end. Positivity aside there was a small degree of confusion during DOMOTEX and upon hearing news of Implementation Day. 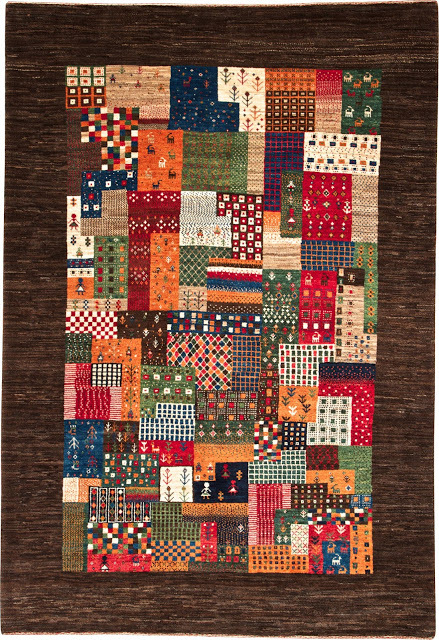 ‘When would carpets be allowed to enter the United States?’ was the overriding theme as buyers eager to hedge a competitive advantage over those not at the premier global rug and carpet forum, sought to buy immediately. During dinner the night of Implementation Day anecdotal advice from David Young of COVER and myself tended toward: ‘Buy now sort the details later as it won’t be long.’ Whereas with the release of further documentation from both the Untied States’ Department of State and the Department of the Treasury the following day, ‘those who are educated and literate’ – to anonymously paraphrase an astute colleague – knew they could indeed immediately buy, buy, buy, (and import)! 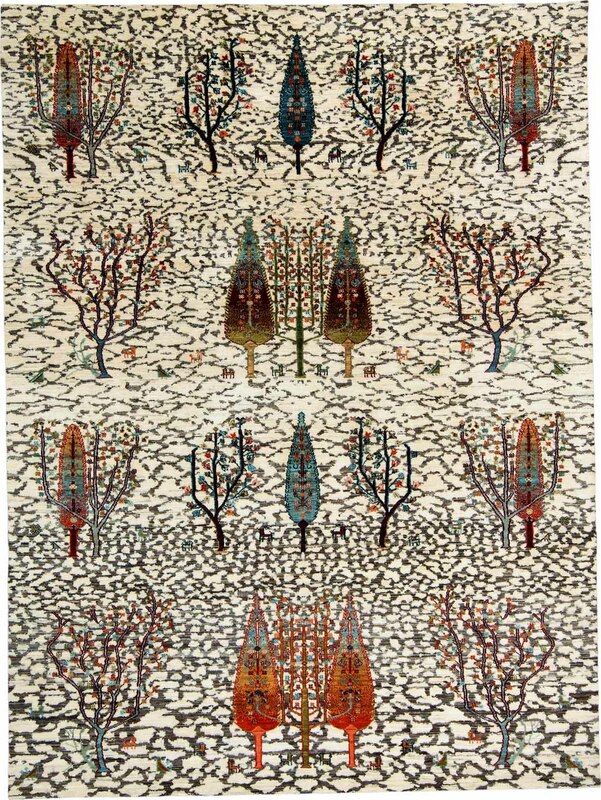 ‘Multiple Trees Gabbeh’ from the ‘Flora and Fauna’ Collection by Zollanvari. | Image courtesy of Zollanvari. Wanting to be on sure legal footing is reasonably sound advice, and for those seeking to know more you can be directed to visit the Oriental Rug Importers Association‘s website and read both their announcement and the letter from their legal council which distills everything aforementioned and already publicly available. But to summarize, it says: 1) Yes you can import. 2) Yes banks can send payments but there are a few hurdles. 3) It’s still illegal to do business with people deemed unsavory. 4) Wait for the Treasury Department to issue the ‘General License’. The ‘General License’ was issued on 21 January 2016 (Who says the United States’ Government is inefficient?) and for those barely home from DOMOTEX themselves, the ones who were savvy saw the imminent reward of their foresight. To the Trade: Handmade rugs and carpets are made in a variety of countries spanning the globe including but certainly not limited to Iran. While you are likely familiar with carpets made in India, Pakistan, Turkey, and Nepal those from Iran may be new to you due to the United States’ former embargo, though this did not preclude trade in Iranian carpets already in the United States. As such older Iranian made carpets have been widely available and like anything decorative may or may not be desirable. 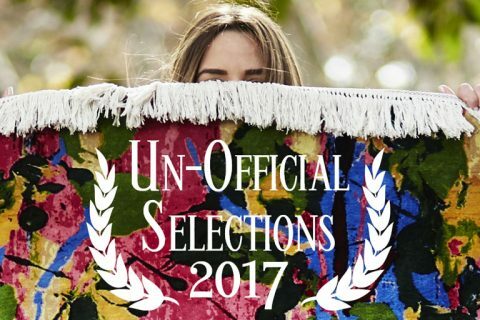 New Iranian carpets will begin to be seen in rug and carpet showrooms throughout the United States in 2016 and either can provide a fresh and often individualized one-of-a-kind aesthetic well suited to contemporary interior design. As we can once again ‘enjoy the handicraft of the nomadic tribes of Iran…’ as well as any carpets produced in a manufactory, we must also examine what it means to United States’ rug dealers and to the design trade. ‘To the Trade’ is a new prototype feature here on The Ruggist that will provide annotations explaining the world of rugs to consumers and designers alike. 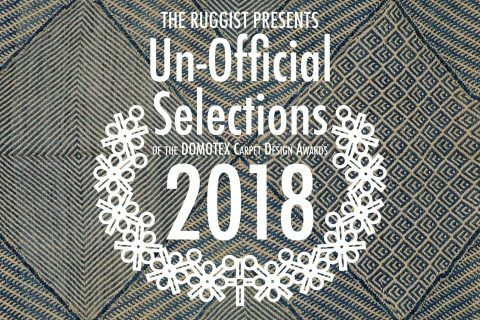 In addition, The Ruggist will also begin featuring ‘To the Trade Only’ articles written specifically for designers in order to foster broader understanding of what we consider the ‘proper’ use of handmade carpets. Kelim from Mazandaran in the North of Iran. | Image courtesy of Werner Weber. 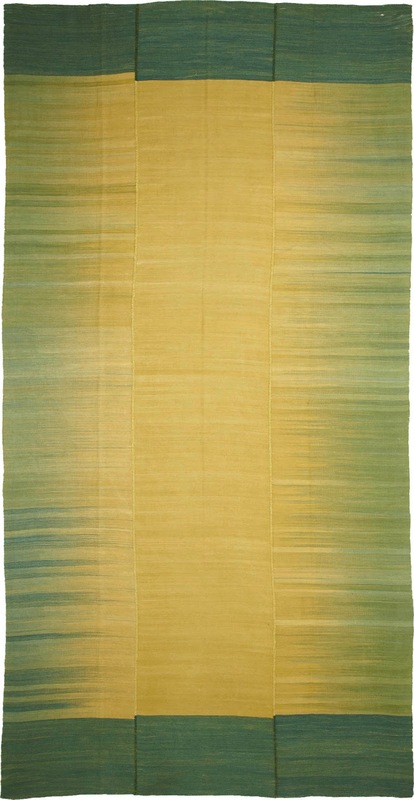 Werner Weber is a renowned rug dealer now in his sixth (6) decade of trading rugs and carpets. Long an aficionado of fine quality carpets (both aesthetically and technically) he is optimistically looking at the United States this autumn and ‘will exhibit during the fall in New York when the two (2) exhibitions are held at the same time. [The Shows being at the same time and] separated by only a few blocks makes it really attractive.’ he said when asked about his future plans for the United States. Faradj & Homayoun Farhadian has a very strong presence and does well in the European market, this according Homayoun Farhadian, Partner at the firm. They also do appreciable business in Japan – a market known for its extreme affinity toward quality – operating two (2) showrooms, one in Tokyo and the other in Kobe (near Osaka) in cooperation with ‘Meiwa’. To the Trade: There is a widely held misconception that all Iranian made carpets are the best quality in the world; this is simply not the case. Each country produces a variety of qualities of carpets ranging from one (1) to ten (10) on an arbitrary scale. While it is very easy to compare qualities within a single construction type or country of origin, drawing carte blanche comparisons between countries is simply not possible. Be wary of ANY rug dealer who would attempt to sell you a carpet espousing its superior quality solely because of its geographic origin. Mr. Farhadian speaks to one of the principal ideologies that has historically (though not entirely) differentiated carpet production in Iran from that produced elsewhere: uniqueness. So called Nomadic production in Iran makes all but impossible the ability to reproduce a design with one-hundred percent (100%) accuracy. It’s not that it cannot be done, it’s that it simply isn’t and therein lies part of the charm, character, uniqueness, and je ne sais quoi of Persian, that is, Iranian carpets. To the Trade: Persian vs. Iranian. Oy! The modern day country of Iran occupies the same area that was one the Persian Empire. There is an ethno-linguistic group by the same name that comprises approximately sixty percent (60%) of the population of Iran, and as such the term Iranian and Persian are often used synonymously. The colloquial use of term ‘Persian Carpet’ or ‘Persian Style Carpet’ in the west typically denotes any carpet made in the style – that is to say using traditional designs originating from the region – of the former Persian Empire, regardless of where it is actually made. Is this correct? No, but it is how our language has evolved. As such I prefer addressing the origin of a carpet by its proper modern adjective, in this case: Iranian, though you will encounter both. If in doubt, ask to verify. 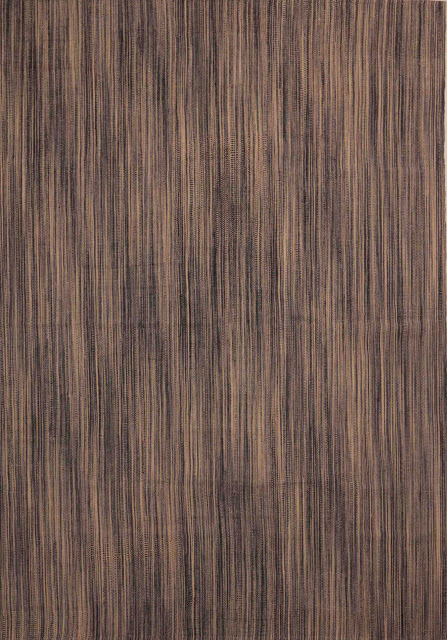 The deft understanding of old weaving techniques lead Edelgrund to developed the ‘Massal’ Collection of special flatweave, which in addition to combining different weaving techniques utilizes different colour yarns in the warp and weft yielding subtle colour effects best experienced from a variety of angles. 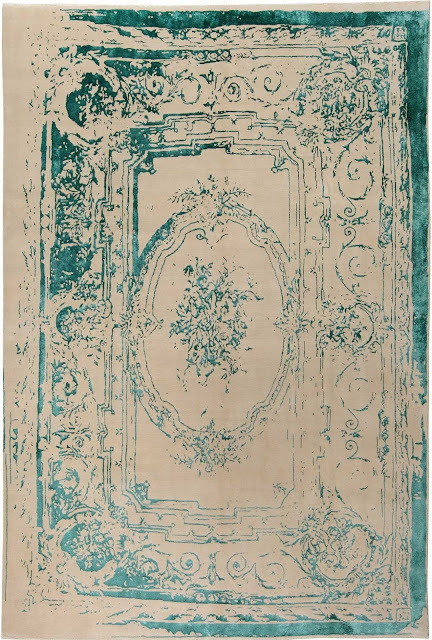 As a consequence the specialness of the carpet is not derived from a bold design or pattern but rather from a sophisticated understanding of colour, presence, and the ability of a carpet to age well and develop a stunning ever evolving patina. Edelgrund, clearly eager to be in the United States’ market, will be exhibiting at Highpoint Market 16-20 April 2016. So much of Iranian carpet production focuses on the storied history of the region and its place of honour as both the arguable progenitor of carpet weaving and as the namesake region of the now colloquial ‘Persian’ carpet. But what about the future? 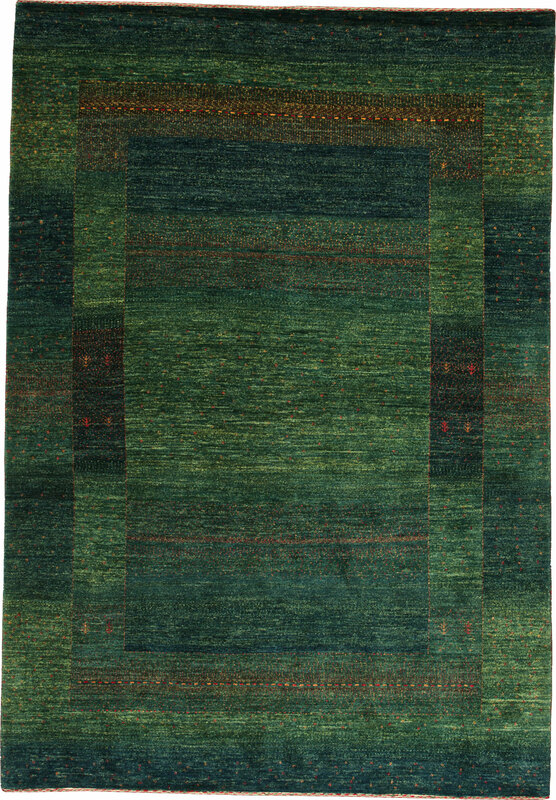 For that The Ruggist would have formerly gladly referred you to the carpets of Sahar which up until the onset of this last embargo were woven in Iran and were a true feat of programmed rug production. Perhaps Sahar still best embodies what the future of rugs and carpets may be like; globally sourcing the best materials (including Iranian wool) and labour without regard to strict geographic distinctions, but that is not a discussion for today. What is however is the future of Iranian rug production. To the Trade: Programmed rug production is a term referring to carpets that can be ordered repeatedly in a variety of standard sizes and is the precursor of Made-to-Order, Custom, or Bespoke carpet production all of which allow for a high degree of personalization including size, colour, and design. 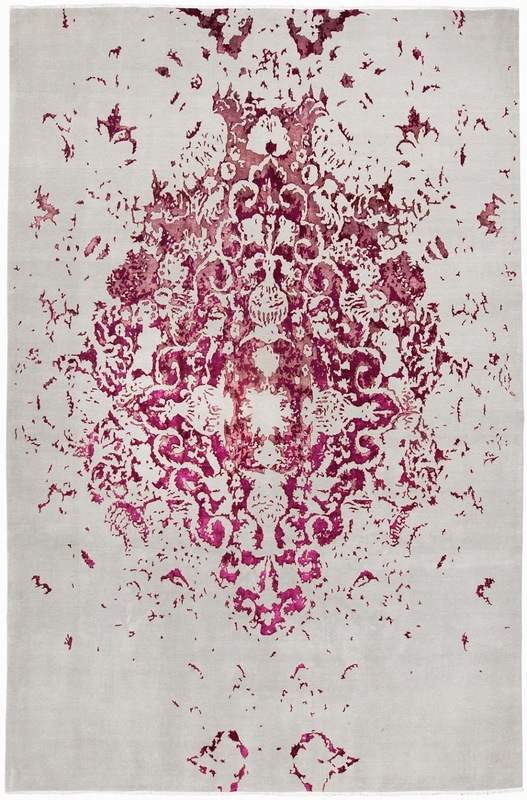 One-of-a-Kind carpets are precisely as the name implies and in general cannot be ordered again. Whether you prefer one over the other is a question of your own style and design methodology, not a question of quality. ‘Frenchie Turquoise’ from Hossein Rezvani. | Image courtesy of Hossein Rezvani. ‘Tabriz Lilac’ from Hossein Resvani. 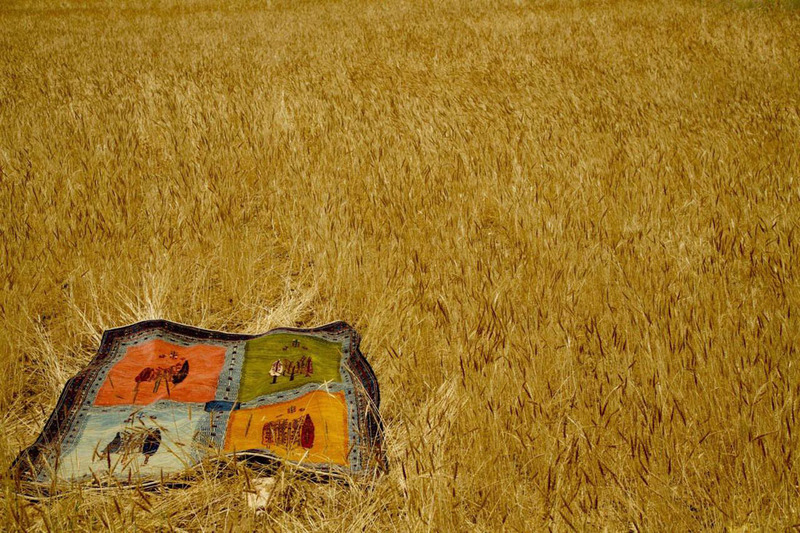 | Image courtesy of Hossein Rezvani. The rorschachian treatment of a traditional Persian Tabriz design is wonderfully abstract all but begging the viewer to answer the question: ‘What do you see?’ Made using the best materials (Kork Wool) knotted at an unnecessarily fine quality of 1,000,000 knots per square meter (approximately 640 per square inch) everything about this carpet conveys luxury and decadence. 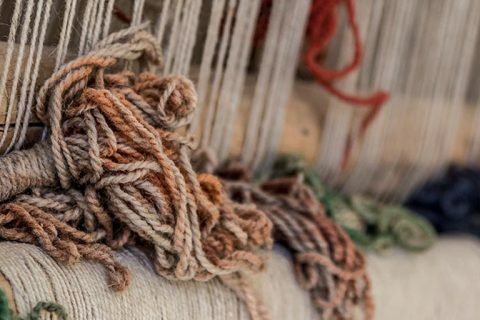 To the Trade: Knot count, along with quality of wool, are just two (2) of the many factors that contribute to the overall quality of a rug or carpet, though for many knot count reigns supreme. A finer carpet, that is to say one with a higher knot count, can express more detail in a design, whereas a courser carpet – one with a lower knot count, generally has simpler, less detailed design elements. One is not necessarily better than the other. ‘Tabriz Lilac’ while detailed, also has a large expanse of solid colour, which from a technical standpoint does not require a fine knot. Choosing to use one as Hossein Rezvani has done adds a degree of character beyond necessary, leaning toward luxury. The end of the Iranian carpet embargo is good not only for Iran and the people thereof, but also for American consumers of quality carpets and design, and to be frank, for longer term political stability. As it is beyond the ability and scope of any one article to feature every Iranian producer of carpets go forth with this advice from the close of my last article on Iran: ‘As the embargo has ended we should remain cognizant of the individual value of Iranian made carpets, but weary of their potentially overstated collective quality,’ as it true of any country or region.